Clara Wetenkamp, 97, of Wahpeton, ND (formerly, Tintah, MN), passed away on Wednesday, January 23, 2019, at St. Catherine’s Living Center in Wahpeton. Visitation will be held from 1:00 p.m. to 2:30 p.m., Saturday, February 2, 2019, at Joseph Vertin and Sons Funeral Home, Breckenridge. The funeral service will be held at 2:30 p.m., Saturday, February 2, 2019, at the funeral home with Pastors Rick Melendez and Joe Story officiating. The burial will be held at Riverside Cemetery, Breckenridge. Clara was born in rural McClusky, ND, on November 24, 1921, the daughter to Adam and Louisa (Kluck) Heitzmann. She grew up and attended school there and later attended Sheyenne River Academy, a Seventh Day Adventist secondary school, in Harvey, ND. Later, she began teaching in a rural country school near McClusky. Clara also spent time as a camp counselor at the Northern Lights Camp near Bottineau, ND, an Adventist camp that helped engage kids in God’s creation while experiencing programs, classes, and new friendships. While working at Northern Lights Camp, Clara met Donald Wetenkamp and they were united in marriage on August 10, 1947, in McClusky. After their marriage, Donald attended Union College in Lincoln, NE. Upon completing his degree, they moved back to the area, settling on a farm near Tintah, MN, where they raised their two daughters. 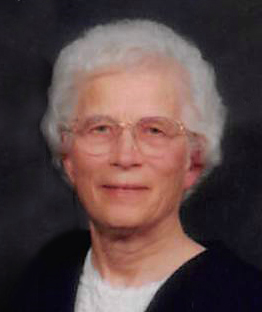 God and his scriptures were woven into every aspect of Clara’s life and she remained devoted to her ministry at the Seventh-Day Adventist Church in Wahpeton. She was active in her church and served as a deaconess and in the church’s organization known as the Dorcas Society. A life-changing experience she and Donald had, was the opportunity to serve on three self-supporting mission trips to Guyana, South America, from 1960 to 1963. They flew their private plane on these trips. Clara and Donald savored life together and spent their time serving others; Donald passed to his sleeping grave on December 11, 2011. Stewarding the blessings from God, Clara spent her time taking care of her garden where she planted various vegetables and flowers. Once her produce was ready for harvest, she enjoyed her systematic canning process and would freeze anything that was left over. She enjoyed singing around the piano with her family and friends. Clara truly had a heart for others and she displayed this by welcoming family, friends, even strangers around her table for a delicious, home-cooked meal. Many recognized Clara as a friend, she was a greeter at the church and always welcomed the congregation with a warm hug. Her impact on the community, church, and individuals throughout her life will never be forgotten. Clara is survived by her daughters, Viola (Claude) Redick of Veneta, OR, and Videll (Norm) Ahrens of Tintah, MN; grandchildren, Wayne (Jamie) Ahrens of Gardner, KS, and Cassandra (Brent) Ahrens-Learned of Monument, CO; great-grandchildren, Lucas, Wyatt, and Lily Ahrens; and many nieces and nephews. She was preceded in death by her husband Donald; parents, Adam and Louisa Heitzmann; brothers, Eddie Clarence, and Alfred Heitzmann; and sisters, Elsie, Leah, Adeline, and Luella. There's still time to send flowers to the Visitation at the Joseph Vertin & Sons Funeral Home from 1:00 PM to 2:30 PM on February 2, 2019.